This is my first CSI trip, and it was an experience I will never forget. 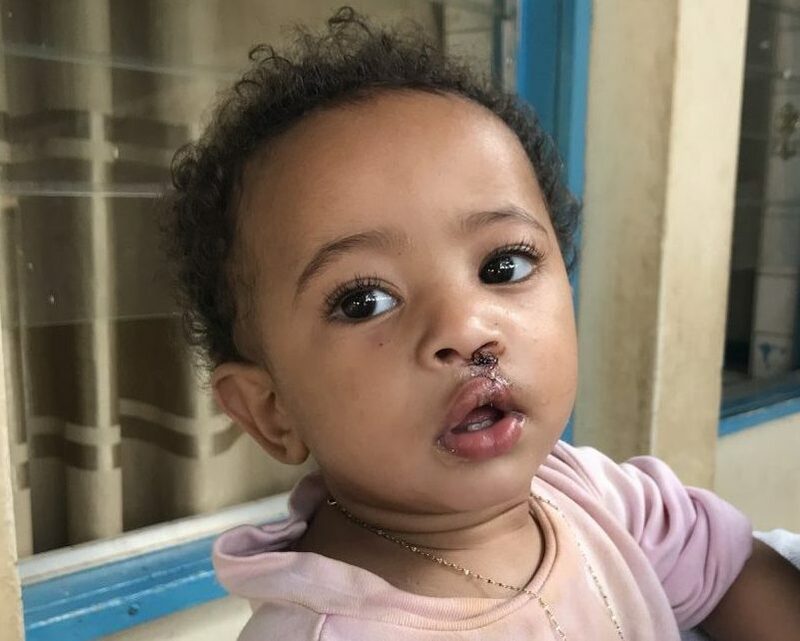 While performing surgery for cleft lip and palate was certainly rewarding, the best part of our visit was working with our Ethiopian partner surgeons, Dr. Melesse and Dr. Asnake. 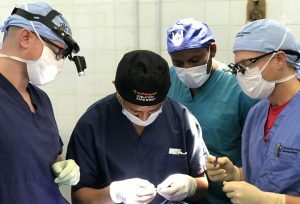 Both were extremely talented surgeons and eager to learn techniques for repairing cleft lips and palates. They are enthusiastic and ambitious about learning even more. Both surgeons have completed advanced training in otolaryngology. 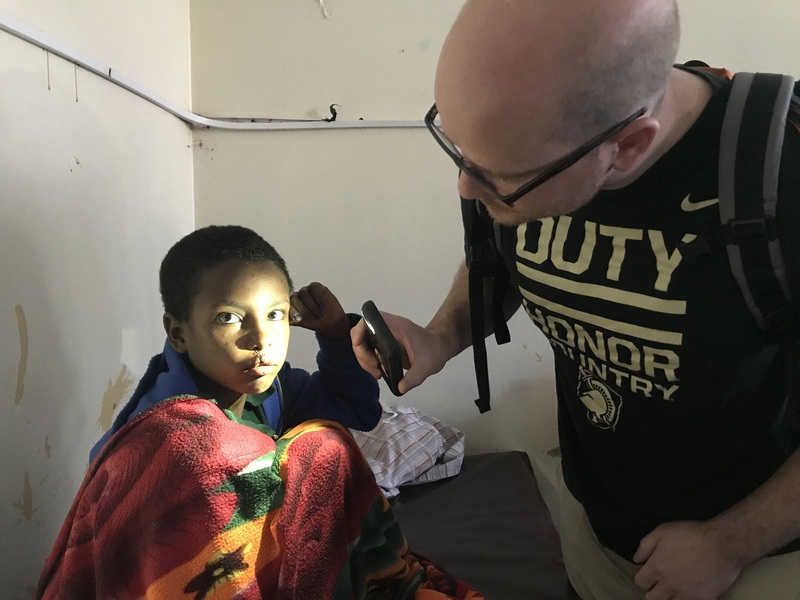 Dr. Melesse completed a head and neck oncology and reconstructive surgery fellowship, and Dr. Asnake completed an otolaryngology residency in Addis Ababa, Ethiopia. 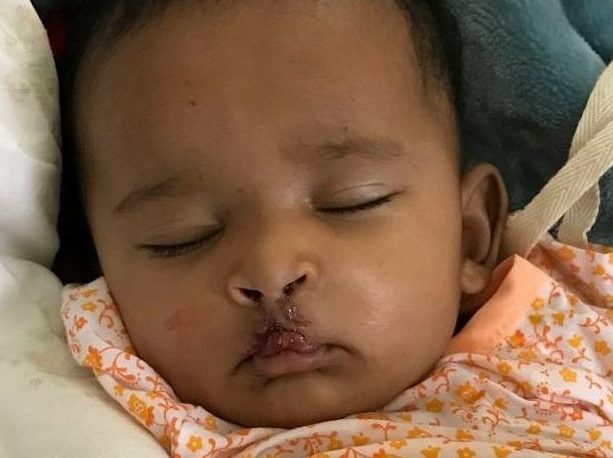 While we may have been helping them perform craniofacial surgery, both surgeons are extremely proficient. Dr. Melesse performs advanced head and neck oncologic surgery regularly at Felege Hiwot Hospital in Bahir Dar. In fact, on our last day he performed a revision radical neck dissection for a patient with recurrent spindle cell sarcoma. 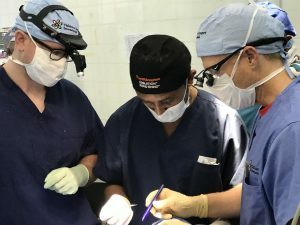 Dr. Asnake, who just completed his training, will be performing the first ear surgeries at the new Bahir Dar University Hospital next month and will be the only ear surgeon in the region. 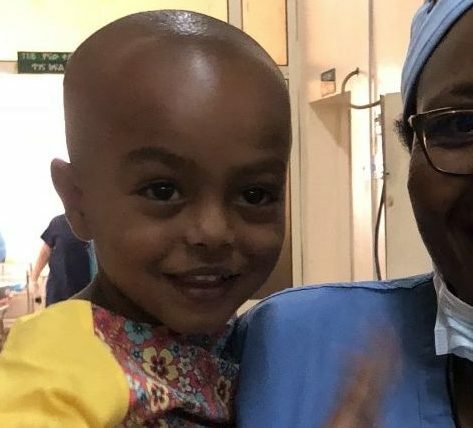 He will perform surgery for chronic ear disease for patients in Bahir Dar and the surrounding provinces. In addition, they plan to start the first otolaryngology residency program at Bahir Dar University next year. It was truly a pleasure to be able to work with these talented individuals. On our last day we toured the new University hospital with Dr. Melesse. This new facility will add significant medical capabilities for the region and increase access to medical care for the people of Bahir Dar. The current hospital at Felege Hiwot is busy. There are 130,000 outpatient visits every year and 6,000 inpatient admissions every quarter. The new hospital building will significantly increase bed availability and access to outpatient care. The new University Hospital is a 600-bed facility and houses 20 major operating rooms and 10 minor operating rooms, along with state-of-the-art neonatal, pediatric and adult intensive care units. In addition, patients will be admitted to four-person and two-person rooms, a significant upgrade from the 8+ patient rooms at their current hospital. The new hospital is situated within the campus of the new medical school, creating a state-of-the-art graduate medical education center for the region. While it is sad to leave Bahir Dar because of the amazing experience I had, it is exciting to see the growth of both the providers in Bahir Dar and the medical infrastructure in which they work.